Do you know all of the Benefits of TSS Pro 500 Enhancing Sealer? Initially, our company created this sealant to assist in providing a better grade of sealing services to our clients. Here’s a little more information about one of this month’s featured products. 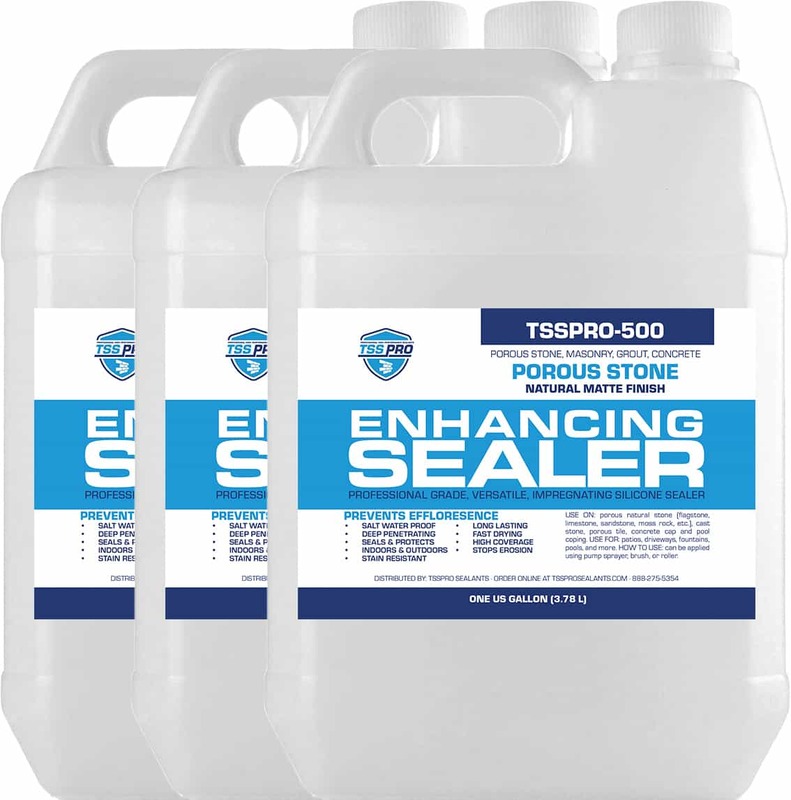 The TSS Pro 500 Enhancing Sealer is solvent based silicon polymer that penetrates deep into a surface ultimately protecting the surface. During the application of the sealant, it forms a molecular connection with the surface material creating a long-lasting bond against water and harmful chemicals. Additionally, after its rapid curing process, the sealant leaves a transparent barrier that won’t change colors over time. All in all, it offers a clear matte finish with silicone solvent protection to enhance and protects the natural state of the surface. 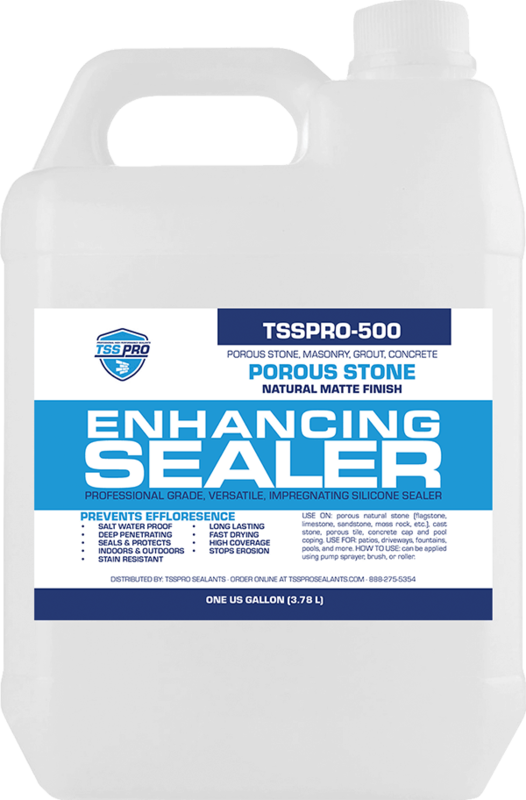 The TSS Pro 500 Enhancing Sealer is a long-lasting weatherproof sealant that prevents saltwater erosion. It is ready to use with no mixing required and is resealable for future use. The simple application drys in rapid timing and include a color enhancement feature for your surface. A simple application of a single coat or multiple coats along with curing offers a natural, matte finish. Ultimately, it prevents saltwater erosion and has a strong resistance against inclement weather, UV Rays, efflorescence, and pool chemicals. Clients can use a pump sprayer, roller, or brush when applying the TSS Pro 500 Enhancing Sealer. Although this sealant is very user-friendly, we will always recommend consulting one of our professionals for assistance or if you are unsure about any aspect of the product. We cannot guarantee permanently stopping the natural process of erosion and decay. However, our product can restore your surfaces as well as enhance the beauty of them. Even though there are many different sealants on the market, we feel our sealants can pass the test of durability and the test of time. For more information about our company and our products, you can contact us at 888.958.0556 or visit our website here.